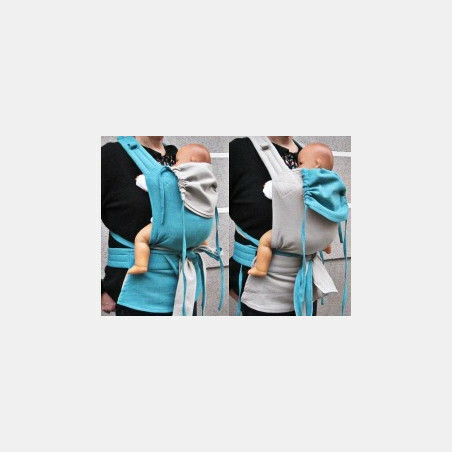 The MySol is an alternative to or additional product for baby slings that allows users to safely, comfortably and ergonomically carry babies from birth to toddler in front of the stomach and on the back. 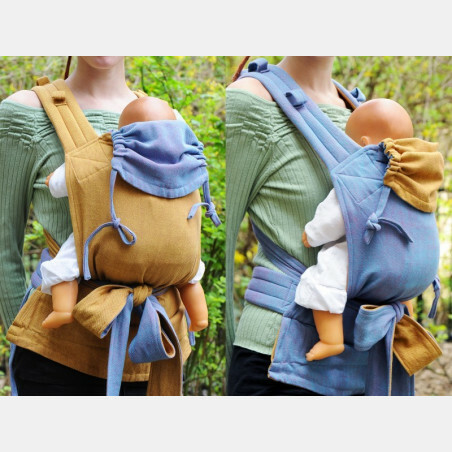 The design is based on traditional Asian baby slings but its thought-through details mean that it also adapts to modern needs. 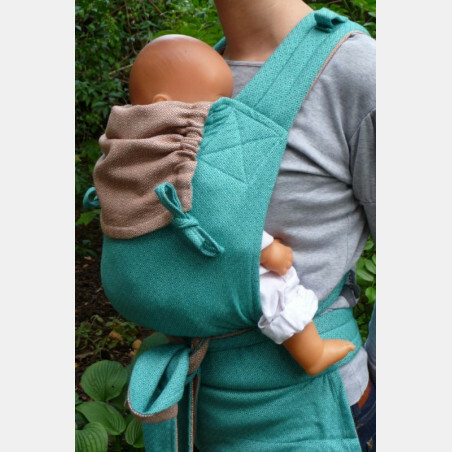 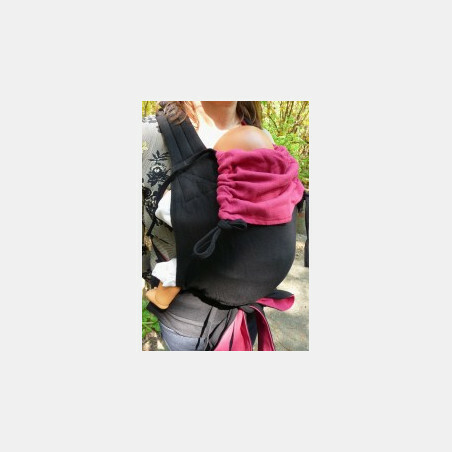 The MySol is made from two layers of high-quality cross-body sling fabric that nestles like a second skin around the baby being carried and so provides optimum support. 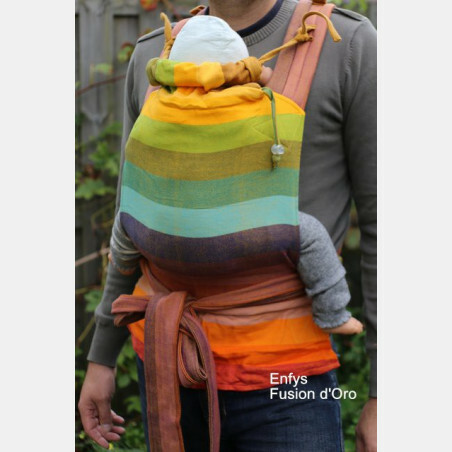 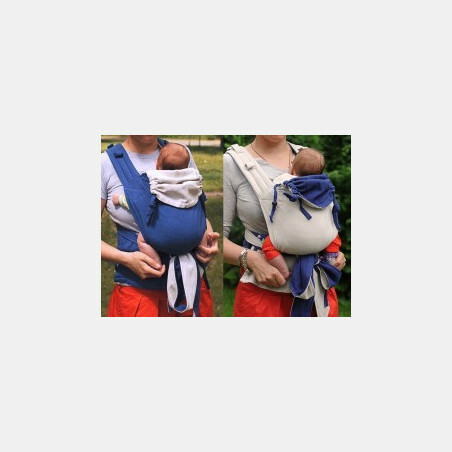 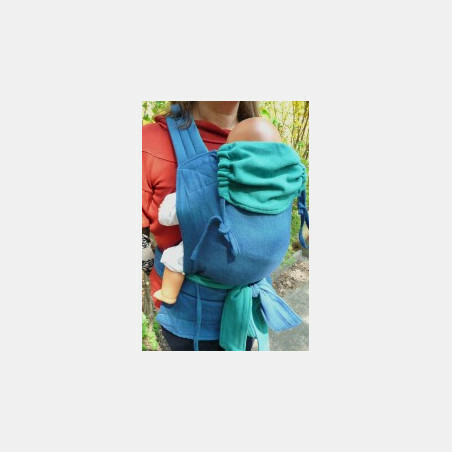 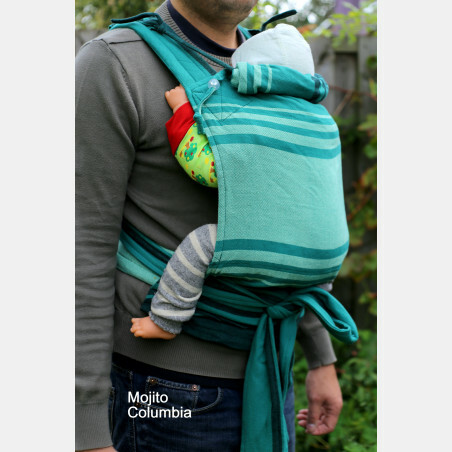 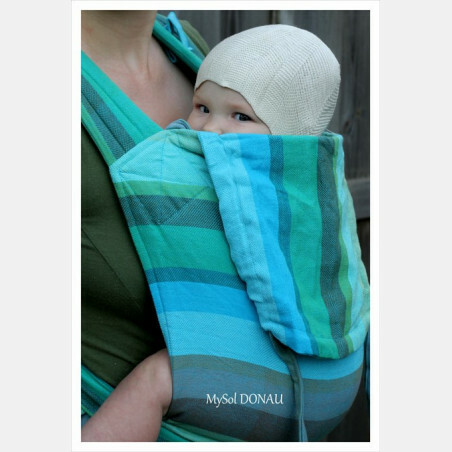 The MySol may be worn with each side facing out – practically two differently coloured baby slings in one! 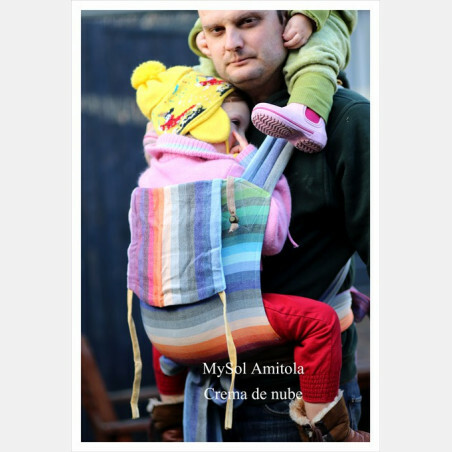 The MySol has been designed to grow with the child in order to ensure that users get the most from it for as long as possible: the width of the material between the legs may be smoothly and easily adjusted, which is important for the crouching position with legs spread apart and for encouraging the healthy development of the hips, particularly during the first year. 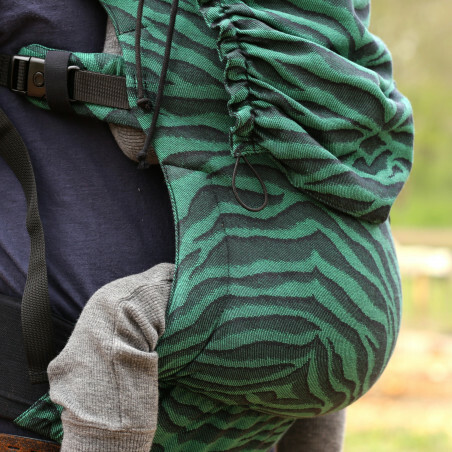 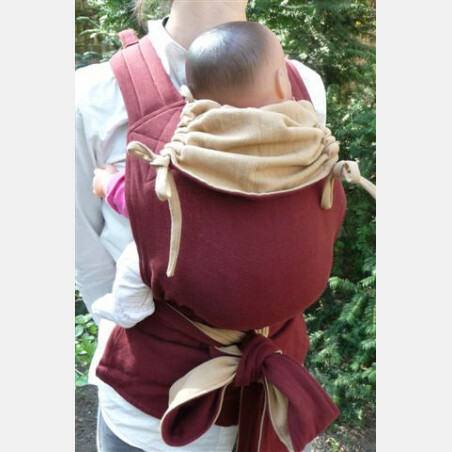 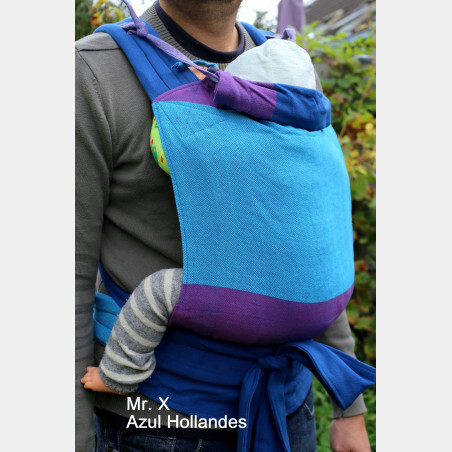 The back section may be extended such that the sling will still safely and pleasantly fit even after the child has experienced his or her initial bursts of growth, the integrated hood supports the sleeping baby's head and protects it against the sun; the hood's width is also adjustable. 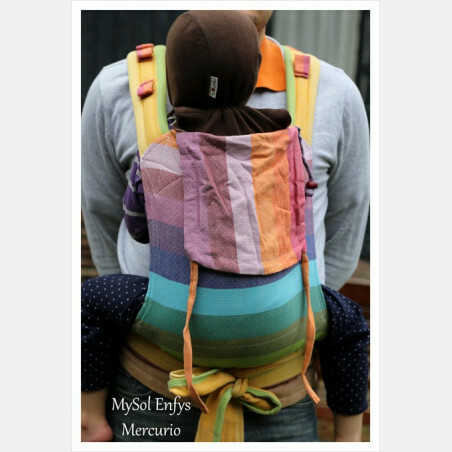 Padded shoulder straps and a padded and stabilized hip belt also make the MySol comfortable for the person carrying the baby. 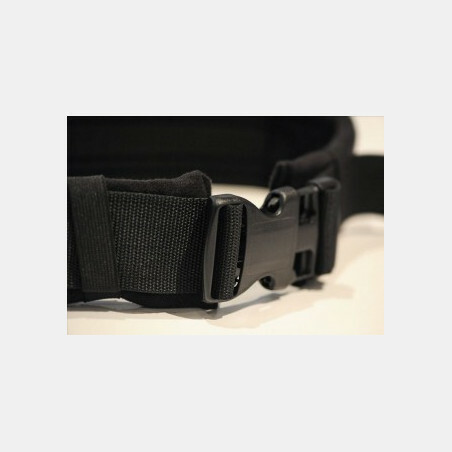 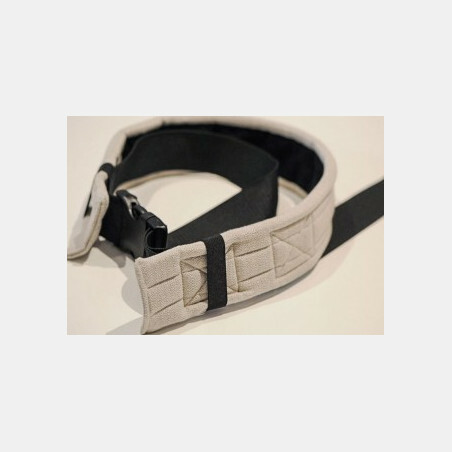 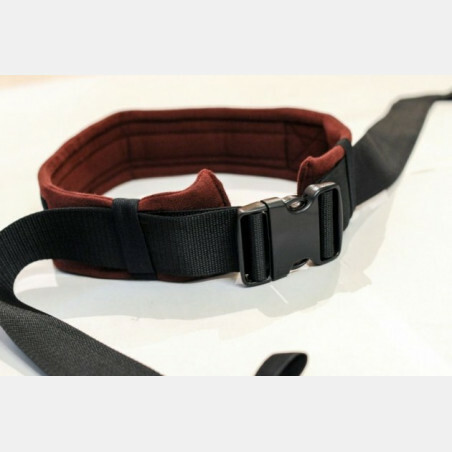 During development, we intentionally decided not to use hard plastic components, clasps, buckles and complicated adjustment features but did create a strain-relieving chest belt for the back carrier and a practical hip belt for such important small items as purses and keys and so on. 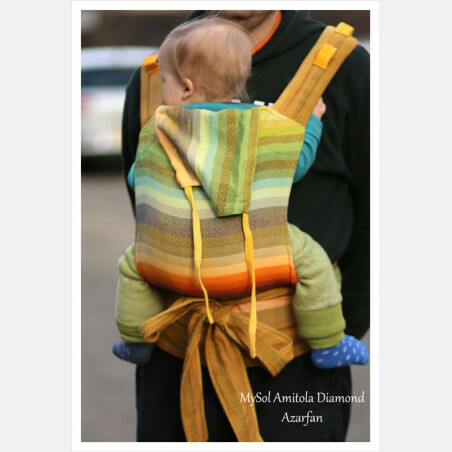 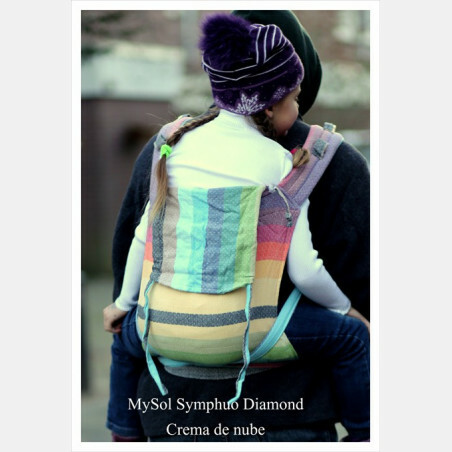 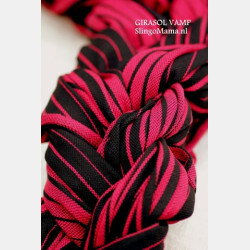 The MySol was developed by Girasol and consultants experienced in how to carry babies and it has been lovingly woven and sewn in small workshops in Guatemala: for an intimate and comfortable carrying experience that comes with a good conscience, fair trade and craftsmanship.